Some of us like to live a little farther away from major metropolitan areas, but we can’t go too far because the big cities have all the jobs. 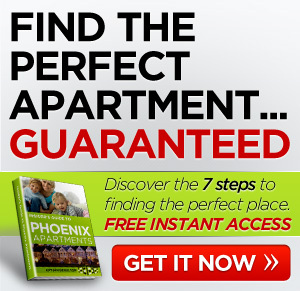 Here’s a list of places near Phoenix, with apartments for rent that require a little bit of a commute to get to downtown. They’re all about 35 miles away from the capital, but each community is well worth the drive. Maricopa is a great place to live, and the city is home to some of Arizona’s top-ranked golf courses. Surrounded by several Indian communities, which lend a nice cultural feel to residents and visitors, Maricopa has great schools, a local food bank, and a local animal rescue group. Near the Superstition Mountains, the Apache Junction area is full of outdoor recreational activities. The city holds many annual cultural events including holiday celebrations, concerts in the park, and even an occasional lecture series. 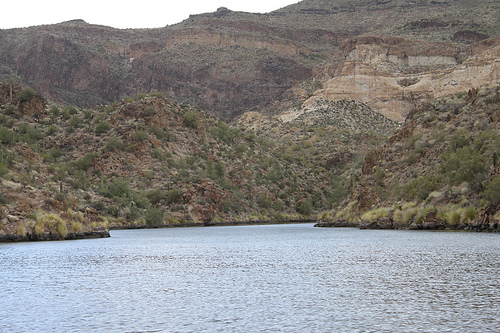 The nearby Roosevelt Dam brings moisture to the area, as well as several lakes — Apache Lake being the second largest. There are a number of hiking trails in the area and many species of fish in the Salt River attract fishermen from miles around. Head due north from Phoenix on I-17 and you’ll find New River, which is pleasantly located near Lake Pleasant and the Spur Cross Ranch Conservation Area. These areas, as well as the Daisy Mountain Preserve offer many recreational activities. In fact, Lake Pleasant is a major recreation hub for the northwest Phoenix metro area. The city is beginning to lose its rural feel as expansion from Phoenix has arrived in the area, and new subdivisions often identify themselves more with Phoenix than New River. If you visit the city, make sure to stop in at the Road Runner Bar & Grill — You’ll be glad you did. When you move to Phoenix, you’ve got to remember that the city is a busy place, and, while the crime rate is improving there, it’s much lower in the cities I’ve discussed. Even if you work in Phoenix, or one of the more urban parts of the metro area, consider moving to an apartment in Maricopa, Apache Junction, or New River — they’re a reasonable distance from the capital, and you’ll enjoy the proximity to the great outdoors. Hows about you? 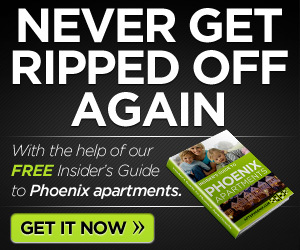 Any luck finding Phoenix apartments for rent? Comment below.